Shanny Peer has been Director of the Columbia Maison Française since 2009. She earned a Ph.D. from New York University’s Institute of French Studies in 1992 and taught French Studies for ten years, at the University of Vermont and then NYU, where she received a Golden Dozen Award for teaching excellence. She was then Director of Policy Programs at the French-American Foundation and worked briefly at Families and Work Institute before joining Columbia. Shanny Peer is the author of scholarly articles and a book, France on Display: Peasants, Provincials, and Folklore in the 1937 Paris World’s Fair (1999), awarded the Laurence Wylie Prize for Best Book in French Cultural Studies. She wrote several policy reports including Equal from the Start: Promoting Educational Opportunity for All Preschool Children: Learning from the French Experience and Equality of Opportunity in Education and Employment: French and American Perspectives. While at the French-American Foundation, she directed comparative policy programs on French and U.S. approaches to early childhood education, anti-discrimination/affirmative action policies, health care and work-family policy. She also testified before the U.S. Senate, organized major conferences, and conducted study tours to France for high-level delegations. 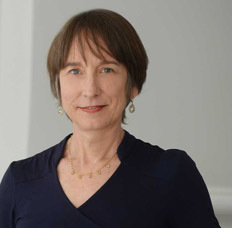 Shanny Peer's accomplishments as Director include spearheading the Centennial celebration of the Maison Française in 2013, researching and curating a physical exhibition, online exhibition, and catalog on the 100-year history of the Maison Française and completing a major renovation of the Maison Française. She was named a Knight (Chevalier) in the Order of Arts and Letters by the French Ministry of Culture in 2013. Shanny is a Board Member of Cambodian Living Arts.